The Atlantis Flo-Channel® is a structural lightweight modular tank system used to construct underground pipe lines for channeling water. The modular nature of the system allows for the easy construction of channels of any volume. The versatile modules can be designed to accommodate specific site conditions. 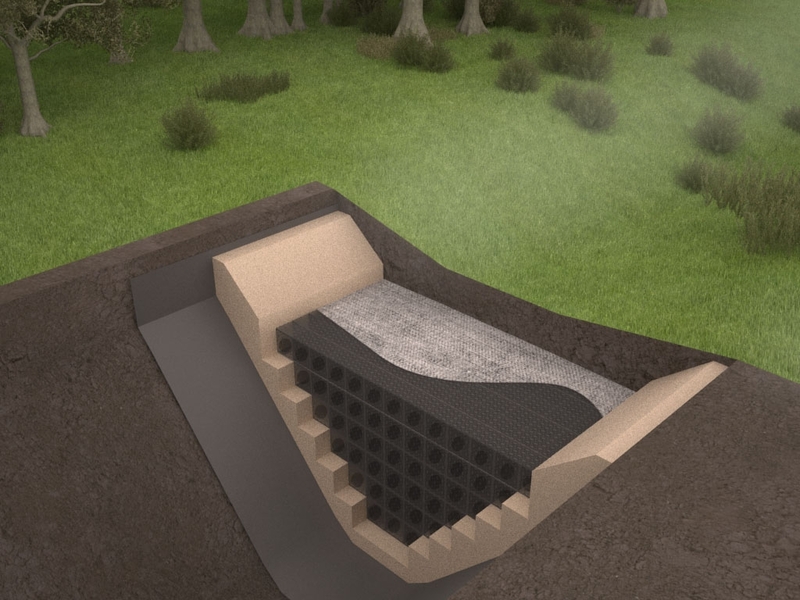 Atlantis modular channel systems use absorption and infiltration methods to channel and clean water that can be re-used or allowed to re-enter the natural water system. Atlantis modular tank systems offer a highly efficient option for stormwater management in any kind of soil.